For over 65 years, Rausch Bros. Trucking of Ionia, LLC has specialized in providing hauling services to various types of construction projects. 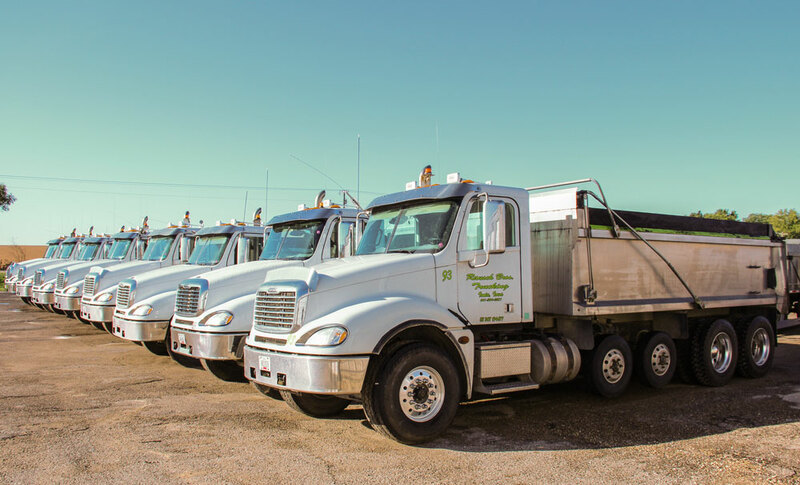 We started out hauling contract rock to various counties in our northeast Iowa location but have grown to providing aggregate hauling to concrete and asphalt contractors, various wind farms throughout the mid-west, building projects, as well as dirt hauls. Rausch Bros. Trucking has the capacity to haul asphalt with dump trucks, belly dumps and semi flow boy trailers as well as shouldering projects. No matter the size or the type of project, Rausch Bros. Trucking prides itself on doing the job for each customer how they want it to be completed.